Peter Theo Alfred Gumpelmayer is the President of the Federal and Upper Austrian Council of Allied Health Science Practitioners, having held this position since 2010. Previously, he acted as President of the Upper Austrian Council of Opticians, Hearing Aid Specialists and Orthopaedic Technicians, from 2004, and as Chairman of the Scientific Association of Optometrists and Opticians in Austria, from 2002-2010. Mr. Gumpelmayer earned his Bachelor of Optometry from the University of Durban-Westville (South Africa), and has been practicing as an optometrist and hearing aid practitioner for over 12 years, with professional stints in his native Austria, but also the UK, New Zealand, and Africa. He has also been involved in academia, teaching at the WVAO Easterakademie in Hall in Tirol (Austria), as well as writing, compiling and translating examination items of the ECOO European Diploma (German/English). 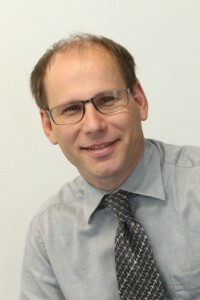 Mr. Gumpelmayer was the Chairman of the ECOO Professional Services Committee until October 2014, after having previously been a member of the ECOO Education Committee between 2006-2010. He was the ECOO President from 2016 until 2018. He speaks German, English, French and has an understanding of Afrikaans.